6425-19.45 Radio Lowland Playing Bruce Springsteen. Weak Signal Sinpo 33223. Also heard later on 6385@20.35. Fair Signal Sinpo 43233. 6305-20.18 Radio Underground With Promo for Summer Meeting. Playing Instrumental Song"Zambezi" in the background, while giving out contact details. Thanks for the greetings. Fair Signal Sinpo 43323. 3920-21.32 Radio Sallandse Boer Playing Tina Turner. Good Signal, with a odd fade Sinpo 44344. If you have just joined our address book and this is the first mail you are receiving, be welcome as member of the FRS family! take place in the evening hours between 16:52- 22:00 UTC/ 18:52- 24:00 CEST. FRS-Holland will be on 7685kHz avoiding 7600 and 7595 interference during the first part of the broadcast. it will be interesting if & how signals will be received to the east (Russia, Ukraine etc.). Paul Graham who was absent for quite some time. This time we will deviate from the usual schedule: 3 blocks of resp. the music comes first! Although each show will include 1 or 2 short radio related items ! We like to take this opportunity to say a big thank you to all of you who responded to our brief evening tests May 22nd (7685). These two 15 min. tests were widely heard across Europe and beyond. For 30 minutes we received some 30 reports. 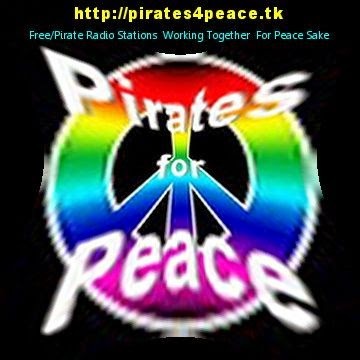 broadcasts back in October & November 2010 and February 2011.
sent a report/ letter. This booklet is almost finished. So please have a little more patience, you will get your special QSL card(s) and the booklet. Thanks for your patience and understanding!! Hope you are able to tune in next Sunday. We hope the full June 19th shows will go out via the Internet one week later, Sunday June 26th. More news about that will follow. 6220-22.20 Radio FSM playing ELO"confusion". Weak Signal Sinpo 33223. 5815-7.30 Orion Radio playing Focus, The Selector And Promo for offshore echo's. Good Signal Sinpo 44344. 6551-20.50 central Radio International playing Kate Bush And Peter Gabriel. Strong Signal Sinpo 54444. Nice to hear station back on SW.
6425-21.03 Radio Marconi playing Dutch Music. Strong Signal Sinpo 54444. off a few minutes later. Also heard later on 6305 for a short time sinpo 54444.